We are one of the leading manufacturers, traders, wholesalers and suppliers of Automobile Parts. Owing to their sturdy construction, smooth finish, compact design and accurate dimension, these automobiles parts are highly demanded. We bring forth an immaculate range of the finest Two Wheeler Accessories and Four Wheeler Accessories. 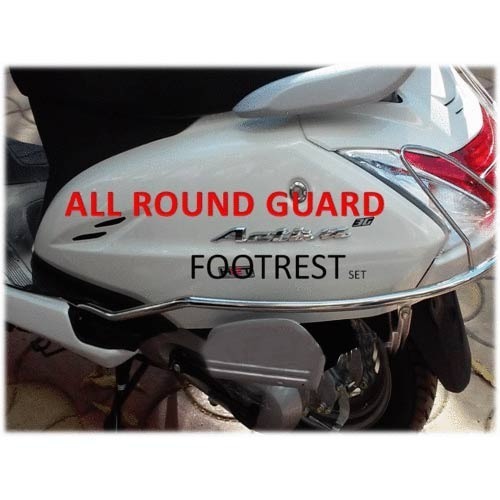 This comprehensive gamut comprises Suzuki Bumper Guard, Hero-Honda Accessories, Aviator Rear Steel Number Plate, Car Steering Cover, Bajaj Accessories, Kick Rubber and many others. Owing to their great resistance towards heat and chemicals and excellent finish, our accessories are in high demand in the market. Further, they are appreciated for their higher flexibility, smooth texture and exact shape and dimensions.